Kralendijk – Since the beginning of December 2016 there was an outbreak of Yellow Fever (Yellow Fever) in some states in southern Brazil. This was reported in late January by the World Health Organization (WHO). To date, this epidemic is still going on. When travelling to Surinam, a vaccination is recommended as well although no patients are reported in Suriname over the last 45 years. 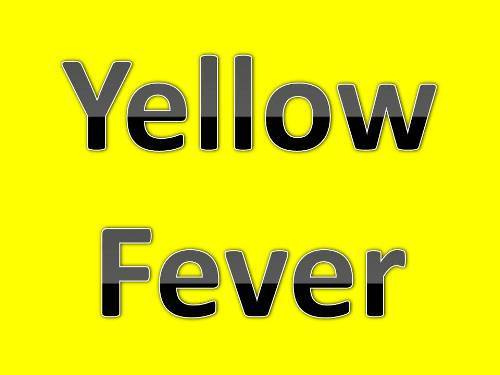 Yellow fever is a rare but serious infectious disease caused by a virus. A small proportion of infected people experience a severe form with risk of death. The virus only occurs in Africa south of the Sahara and in South America (including Panama and Trinidad and Tobago). Yellow fever is transmitted by infected mosquitoes in particular mosqutos that sting during the day. It can also be transmitted by the Aedes aegypti mosquito which also occurs on Bonaire. Over the past 100 years, however, there has never been a reported case of yellow fever on Bonaire. Yellow fever can be prevented by vaccination. The Department of Public Health recommends that for some countries in South America and Africa, yellow fever vaccination is usefull. On the website www.lcr.nl it shows the current state of affairs of the countries where yellow fever occurs and which countries require a vaccination. For Bonaire there is a formal requirement to show proof of vaccination against yellow fever if you are coming from an area at risk. The vaccine gives lifelong protection. Check with the Department of Public Health which vaccination apply to you when travelling. The Yellow Fever vaccine used to be valid for 10 years, but recently (2016) the WHO has declared on the basis of scientific research that the Yellow Fever Vaccine is valid for life. The yellow fever vaccination should be given at least 10 days prior to arrival in the yellow fever area. For personal advice and appointments you can contact the Department of Public Health by phone+5997172211.